Swedish producer Mitch Murder has become a household name in the retro-styled Vaporwave and Synthwave scenes by revitalizing the funk-induced beats of the 80s in exhilarating new ways. Selection 1 is the first entry in his line of compilation albums, this time focusing on recordings from 2011 and 2012. Despite admittedly being a large group of disjointed songs packed together, Mitch’s versatile, instantly recognizable style and masterful treatment of the 80s music he is inspired by make the record tremendously more cohesive than it should be. Mitch Murder’s most invaluable asset is his deep knowledge of the 80s, translated to his expertly-crafted sound. He does not only use retro synths to great effect but also manages to reference movies, TV, video games and other aspects of the eighties’ pop culture in his tracks, transforming what may appear as another trend-riding artist into a believable face of the era he is portraying. Many of these cuts genuinely sound from three decades ago, rescued from VHS tapes of obscure TV series intros. The frosting on the cake adorning Selection 1 is how Murder effortlessly switches the atmosphere between songs, evoking very visual landscapes along the way. ‘Downtown’, massive highlight ‘Operator’ and ‘Metro City Breakers’, for example, feel like a smooth ride at sunset across a driveway next to the ocean. ‘Eye of the Storm’, on the other hand, is truly dark and violent, including the fantastic rant featured on the 1976 film ‘Network’. Additionally, there is a series of properly-named theme songs based on Terminator, Thundercats and other 80s fantasies. To wrap it all up, Mitch includes a series of remixes and collaborations, with his remixes of Ghosthouse’s ‘Stop Drop & Roll’ and Mr. T’s ‘Fashion Show’ standing out. 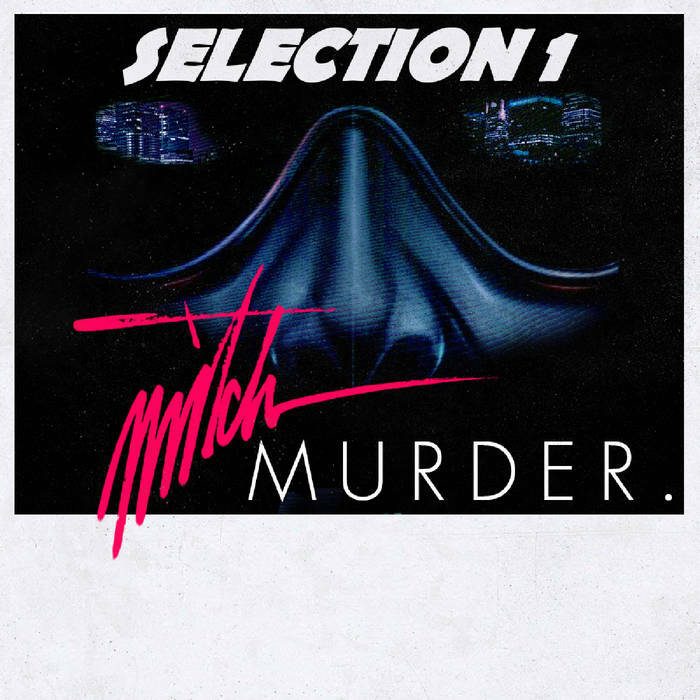 Selections 1 is one of the most exciting releases you can find in the Vaporwave/Synthwave landscape, along with most other Mitch Murder releases. You will be transported to decades-old neon-lit clubs filled with people wearing colorful attires, not before taking a slow drive along a highway without a care in the world. For a music album, this is as cinematic as it gets. A true must-have for retro-lovers of all ages. Favorite tracks: Operator, Eye of the Storm, Airwolf Theme, Stop & Roll (Mitch Murder Remix).